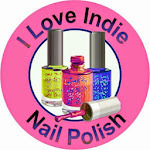 I have a special, awesome polish to show you today. 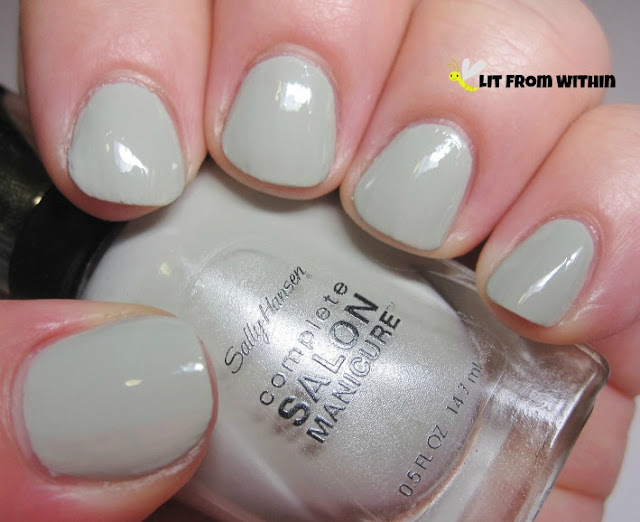 This is Sally Hansen Salon Pumice. Why is it special? Is it because it's beautiful? it is beautiful, but nope. It's a Target exclusive? it is, but nope. It's because I really wanted it, and someone decided that even though they liked it, they'd swap with me because they saw I wanted it more. And it was a good swap. That's the beauty of the NP community sometimes. And that's special. 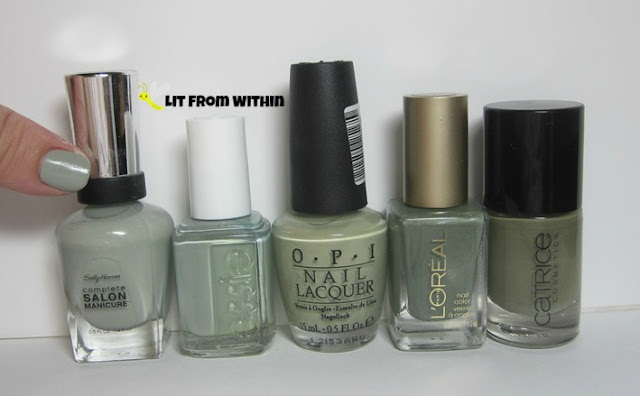 I know that once I have a thing for a color, I tend to collect lots of similar ones. I picked 4 that I thought would be close. In Real Life, I couldn't tell the difference between the Pumice and the Essie. Only close up and under a light could I see that Max leans blue, and Pumice is more green. 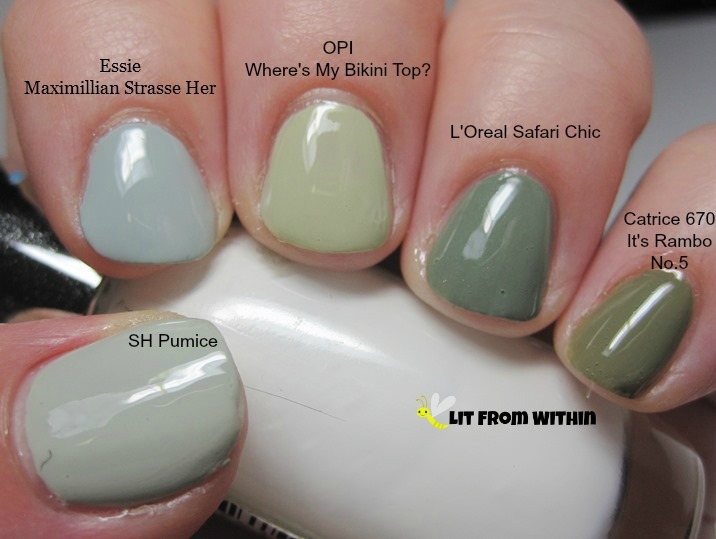 The OPI is an Ulta exclusive, but apparently is a dupe for OPI Stranger Tides. 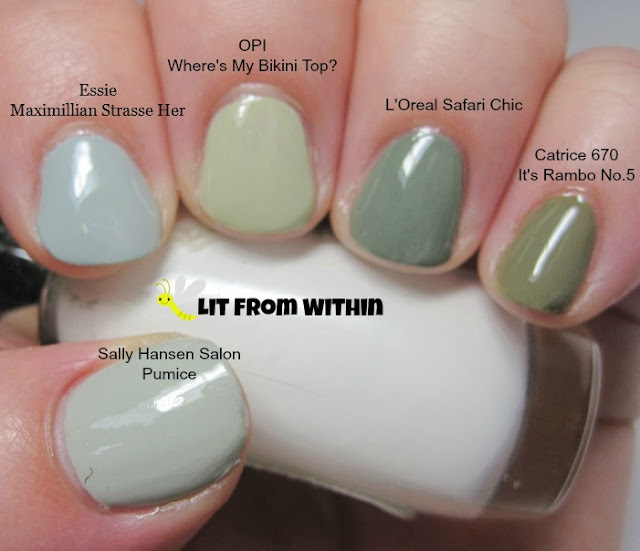 Here's the bottle shot: Sally Hansen Salon Pumice, Essie Maximillian Strasse Her, OPI Where's My Bikini Top?, L'Oreal Safari Chic, and Catrice It's Rambo No.5. 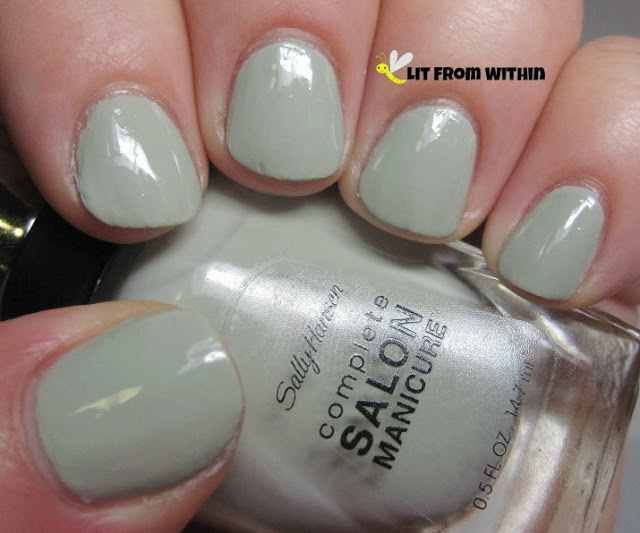 No exact dupes here! The Essie is *really* close though, and still available, whereas Pumice was a Target exclusive in 2012. Which is your fave? Is there another one that you think would be a dupe that I didn't compare?